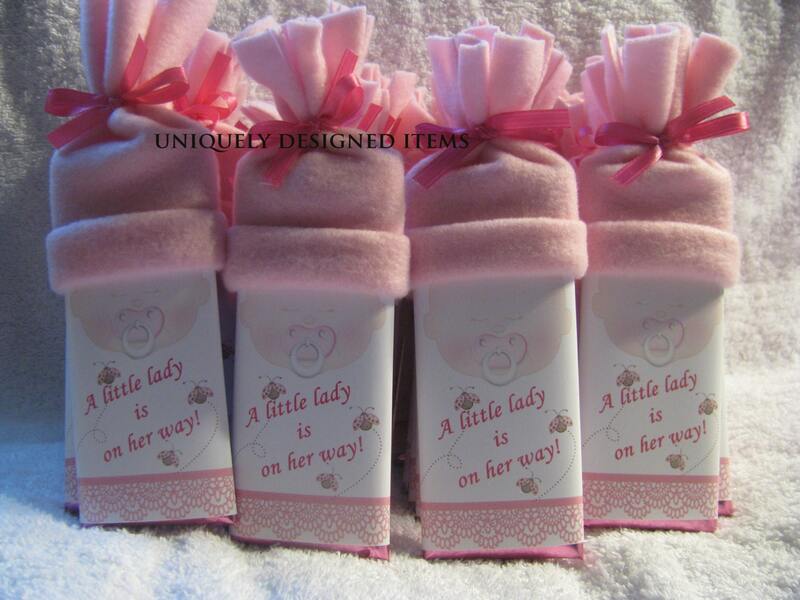 Baby Shower Favor - Custom and Personalized Baby Shower Favors - boy or girl baby bars! Perfect for every guest! Each is $4.25 and includes the whole favor put together. Your Hershey bar, your personalized and custom design, the handmade baby hat and foil. 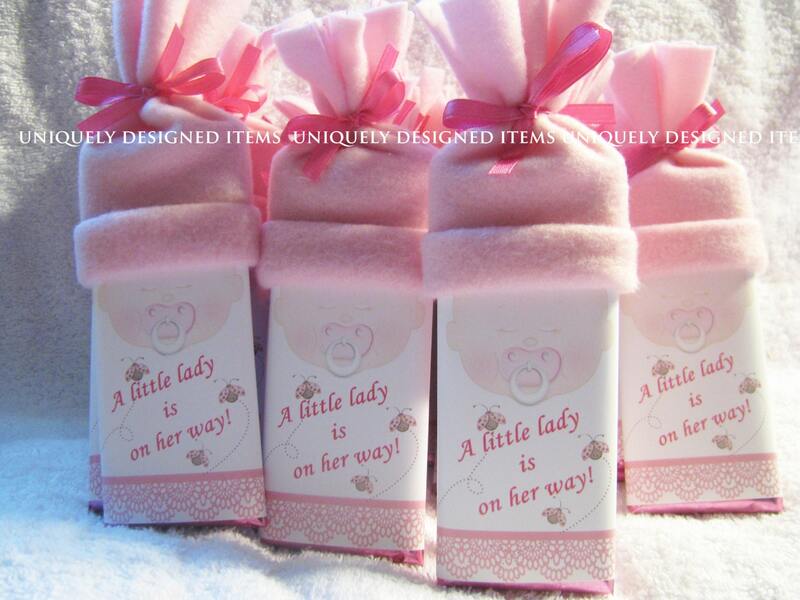 These cute baby shower favors are the most unique items! They are made from a full sized Hershey bar. Wrapped in foil (pink, blue or silver). With a hand made hat for every bar. 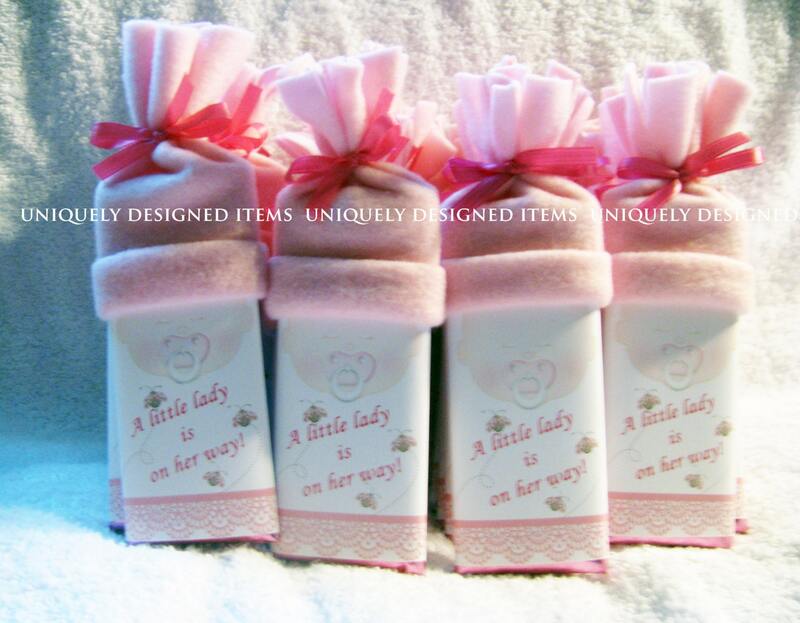 Every wrapper is custom designed (see other listings in the baby section for other designs!). I will personalize it and when you order, I will send you a few samples to make sure you are 100% happy. They will come via a convo so please be on the lookout. I will answer within 24 hours. 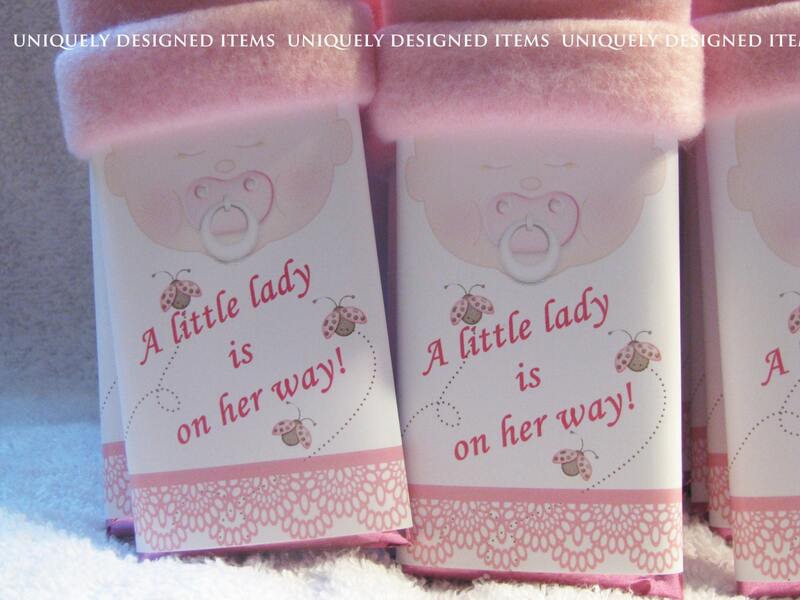 It would be an honor to make your baby shower extra special with these cute baby shower favor baby bars! Adorable, perfect for our shower. Well made, shipped with plenty of time. Would order again! !